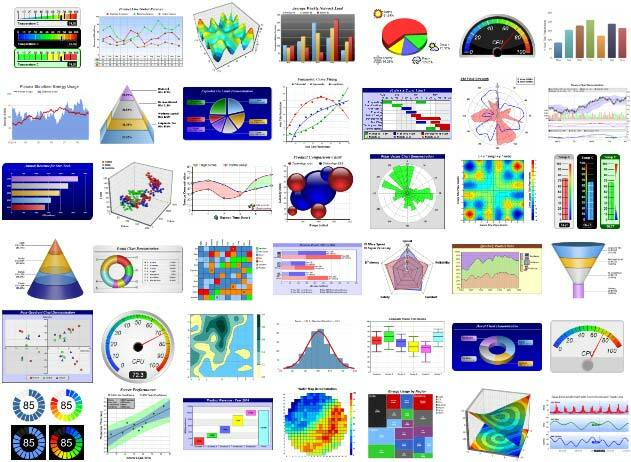 Pie, donut, bar, line, spline, step line, regression, curve-fitting, inter-line filling, area, band, scatter, bubble, floating box, box-whisker, waterfall, contour, heat map, surface, vector, finance, gantt, radar, polar, rose, pyramid, cone, funnel ... even includes meters and gauges. 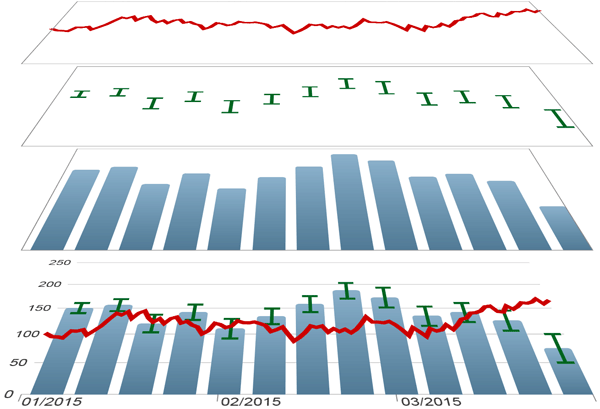 Combine multiple chart layers to plot combo charts and graphs. You can also use layers to add symbols to highlight specific points, add markers, thresholds, zones, error bands ... The possibilities are endless. 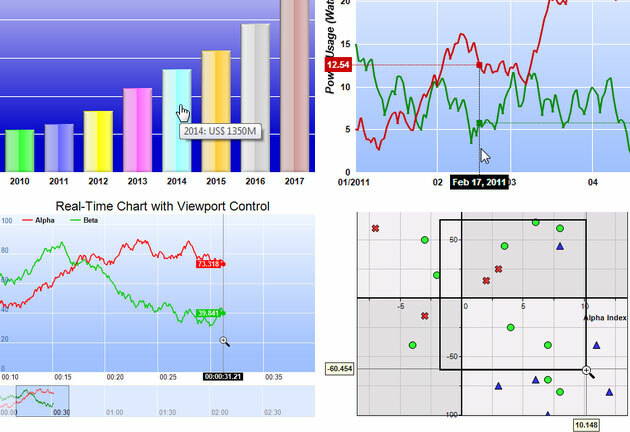 Real time charts with programmable track cursors and tooltips. Plot charts and graphs with millions of data points. Viewport with zooming and panning facilitates visualization of large data sets. Custom mouse and touch event handlers for chart objects. 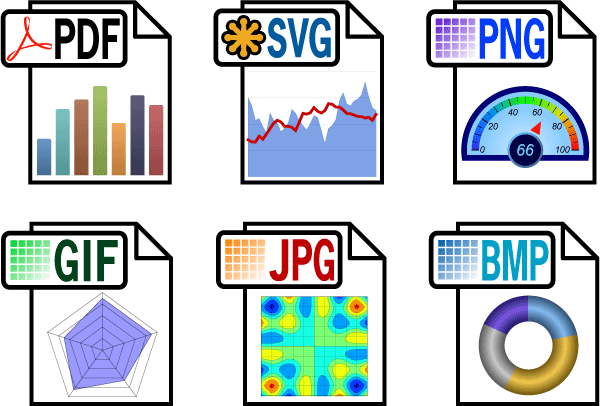 Apart from displaying on screen, charts be created as PDF and SVG, as well as PNG, JPG, GIF and BMP images. This means you send the charts by email, insert them into reports, or save them as records. 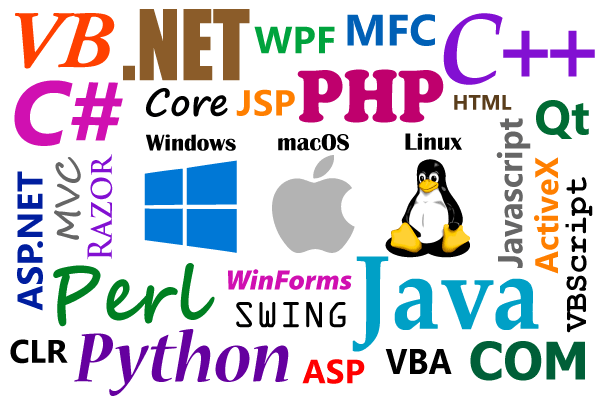 ChartDirector is suitable for various application types (desktop, web, console, batch, realtime ...) and supports many programming languages and operating systems. This means your investment in ChartDirector will be useful for your current as well as future projects.